Vino Travels has a big announcement for all my readers that I’m thrilled to share with you. Unfortunately, I’m going to withdraw today from sharing Italian knowledge and bring you into my personal life. In June of 2016 my husband and I will be welcoming a future winelover into our lives. To say the least we’re over the moon! My dad's first gift to me. He knows me well! That doesn’t mean anything for what Vino Travels brings to you week after week and the goals for this site. I plan to continue to educate the world on Italian wines offering wine suggestions and experiences, introducing you to winemakers, winery visits and wine events. It’s a passion of mine and we know that with this drive it will never go away. Of course I’m not drinking wine during this time, but I’m still able to taste and spit and can get all the same characteristics without digesting it. Of course it’s tempting with all the wine I have lying around the house calling my name, but it will be even more reason to celebrate and pop bottles that I can actually drink after June. I love hearing from my readers and highly encourage comments throughout these months. Let me know what you love about Vino Travels and I’m always open to hearing what you’d like to learn more about. 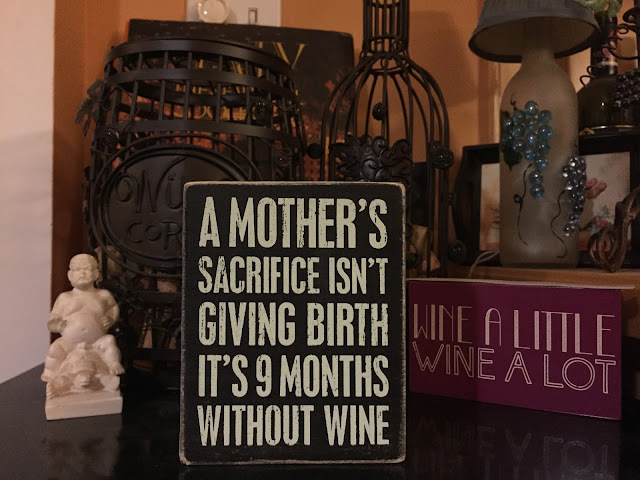 I’ll be focusing more on educating over these months than offering up specific wine bottle suggestions. I appreciate the support and am always honored when I get new subscribers to my newsletters around the world. So join me on my countdown and share any great Italian bottles you’re drinking along the way. I'll be mostly living vicariously through you all! Aglianico, What Makes the Basilicata Pop!